Black Banx is a digital Bank offering real time cross boarder payments in 28 currencies. We are incorporated in Toronto, Canada under Black Banx Inc. operating in 180 countries. Black Banx is part of Black Banx Banking Group headquartered in BVI. We are the largest digital banking solution in the world with more than 8 million Customers. Black Banx is the only digital Bank accepting fund deposits in Bitcoin. On our website you can find out how to send money with Black Banx. Black Banx Banco is operating in Latin America with focus on the Latin American market. In Europe, we are operating as a member of SEPA to send funds between European member states. Black Banx Bank is accepting local deposits in more than 90 countries and over 28 currencies. We partner with leading banks worldwide to offer our services through a network of correspondent banks. Black Banx is the prime standard for international payments worldwide. Technology has taken over most of the daily life processes that we do and it makes the tasks less strenuous for us. Communication, shopping, travel and many such everyday tasks have started applying technology in it. As the whole world is now connected through the web and the technology behind it, even the financial industry has changed the way it looks at the business. When it comes to the application of technology in the finance sector, Digital Bank is the new term to define it precisely. Digital Bank is the means of technological innovation that battles with traditional methods in the operations of financial services. During the initial days, FinTech was just about applying technology to the back-end of financial operations where the financial institutions held the sole privilege to handle the technology side and later it expanded itself to a state where technology becomes the key component of the whole financial business which gives the end customer privileges to handle and experience the technology associated with it. It includes innovations in banking, investment and even crypto-currencies such as bitcoin. After all these years of technological revolution, traditional banks have started giving their customers some limited privileges where they can do monetary transactions and charge them certain fee amounts for each thing they do, but that was not enough for the global customers as the existence of under-banked countries and less privileged customers were not identified by many. That was not the final word of Digital Bank, time proved. Financial institutions which totally rely on the technology and the web were yet to come. When such innovations added more spice to the industry, web banks evolved to an advanced species in the business. 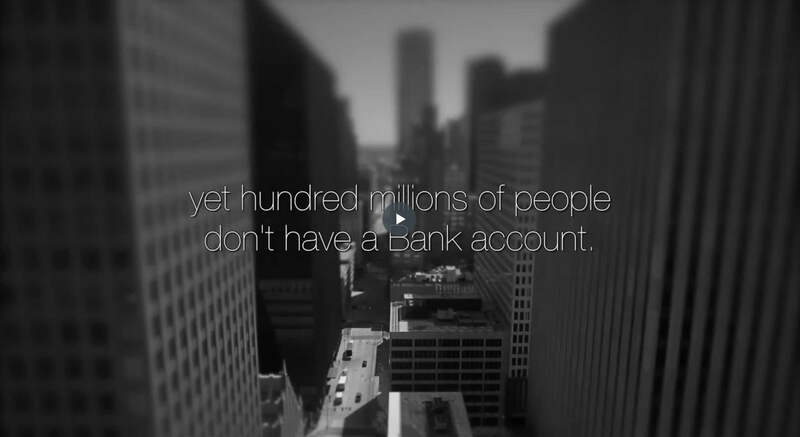 Started in 2015 with a mission to serve the global banking customers, Black Banx uses IRTP and ATAP, two trademarked innovations developed by its technical wing which facilitates its customers to make real-time payments in over 180 countries and it applies Global KYC, a proprietary software to verify the authenticity of each account holder in less than 8 minutes. With the stated technology Black Banx, the digital bank, transfers money from a local bank account and store it in a globalized banking atmosphere with added security features. Customers of Black Banx can send funds to other Black Banx accounts without any additional transaction fee and it charges as low as 1% for wire transfers where traditional banks charge three to five times the mentioned transaction fees. Black Banx is available in the form of a website and mobile applications which let its customers enjoy the freedom and convenience of banking. It is like taking your own bank with you, wherever you go. The website and mobile phone applications are totally in sync to keep your banking data updated and safe. The user interface and features of the website are very user-friendly and customers can easily navigate through the services of their choice. Battling with the traditional and local banks Black Banx, The Digital Bank, is now leading the way over other FinTech innovations to serve the needy. It is very sure that in the coming years, the global financial arena will see more reforms that are going to change the entire attire of the experience and the world is yet to witness how FinTech is going to be the talk of the globe.